Most businesses nowadays close within one year. This is not because of a weak business plan. However, we also have to take into consideration the performance of others in the same industry. If your competition is doing great, then it means that you are sinking. The difference between a successful business and one that is about to close down is in the marketing of its brand. Branding is a powerful marketing tool. Ken Chee’s Brand Mastery is a book that guides entrepreneurs on how to run their business. It is not about operations – it is about making your business stand out from the competition. These are mostly marketing principles that will make your business a trusted brand. Think about his example. If you think of coffee, most people will say “Starbucks”. If we think of fast food, most people will say “McDonald’s”. That is the power of branding. Whatever industry you are in, you want to be known as the best, most popular, most trusted and top of mind brand that customers will go to. Why is branding important? The more value your brand has, the more customers you will have. These loyal customers will recommend your product to others, expanding your client base. The more trusted you are, the more people will pay to avail of your products and services. This will allow you to increase your product and still retain the customers that you currently have. A strong brand also means better business future, allowing you to attract more investors for your venture. On the operational side of things, you will cut down on your human resources expenses because the more value your brand has, the more people will want to work with you. It is a known fact that employee retention is more cost-effective than changing employees. With loyal workers, you can cut down on operational costs. You will also cut down on supplier costs because these people want to be associated with strong brands. The more valuable and trusted your brand becomes, the more power you have to haggle on supply costs. You can also get more air time, better shelf spaces on markets and more positive reviews over different forms of media because of the respect that the public gives to trusted brands. A strong brand is needed in order to build better relationships outside and inside your business. Brand Mastery will help you on your way to business success. You will be able to brush up on tried and tested strategies as well as new techniques on how to build your business and your brand. With Brand Mastery, you will be on your way to a successful business, strong brand and established reputation as an industry leader. 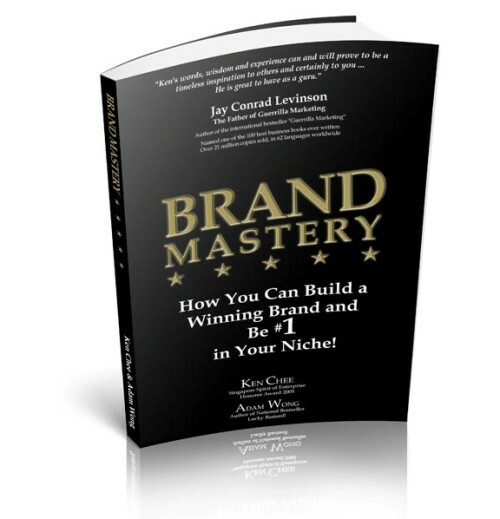 Read Brand Mastery: How To Build A Winning Brand And Be #1 in Your Niche! Product Endorsed By Jay Conrad Levinson.